Dr. Papworth received his Bachelor degree in Biology from Loyola University of Chicago. He received his Doctor of Dental Surgery from the University of Illinois College of Dentistry located in Chicago in 1984. 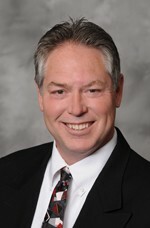 Dr. Papworth has been on staff at Northwest Community Hospital since 1985. He has taken advanced training in Functional Jaw Orthopedics and Dental Implant Restoration. Dr. Vargas received his Bachelor degree in Biology from Loyola University of Chicago. He received his Doctor of Dental Surgery from the University of Illinois College of Dentistry located in Chicago. 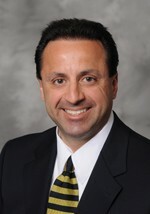 Dr. Vargas has been in private practice since 1985 and on Northwest Community Hospital Dental Section Staff since 1986. He has taken advanced training in Dental Implant Restoration, Endodontic, and Cosmetic Procedures.